FStival,an initiative by a small group of people in TCE ,was successfully conducted for the 6th consecutive year. This time we had plenty of people from the schools whom we never expected of. But due to 3 consecutive holidays, we didn’t have much response from our college. This time apart from traditional stalls such as emacs, vi, gimp, blender etc., we had many new stalls such as network tools, security tools,netbeans, eclipse , wireshark etc. We also had projects display. But due to lack of time our students were not able to complete the project fully.Anyways I hope they will have a full-fledged working project at their hand at a later stage. FStival was started to promote the free and open source software among the general software user groups, which include school students, college students, IT professionals, industrialists, bankers etc. 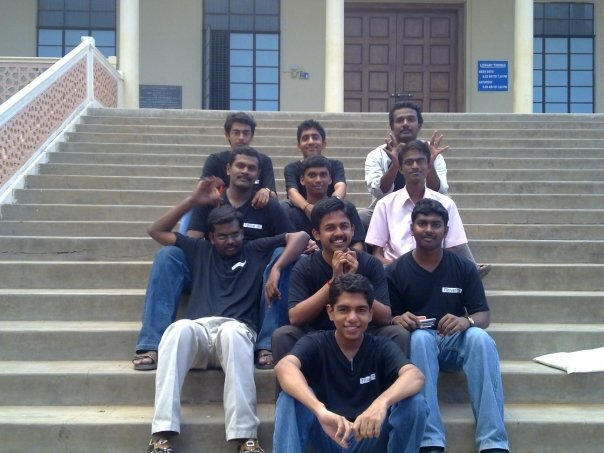 Its main focus is Madurai and it generally invites people in and around madurai.It is slowly moving in its direction of spreading the use of free and open source software and I am sure that its contribution to spread the freedom will add up to the efforts of SFI and FSF.